Margrit Schulte Beerbühl is Professor of Modern History of the University of Düsseldorf. Her publications include Spinning the Commercial Web (Frankfurt 2004, ed. with Jörg Voegele), Migration and Transfer from Germany to Britain (München 2007, ed. with Stefan Manz et al. 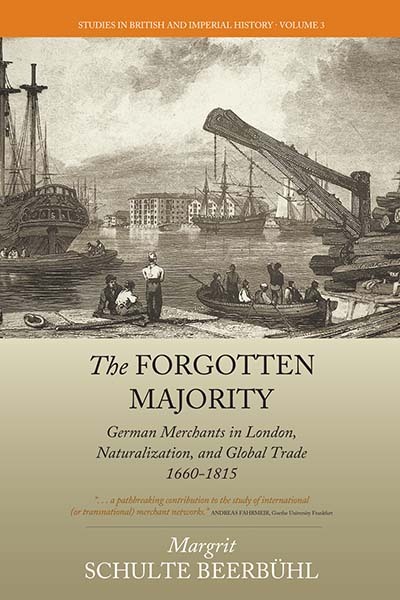 ), and Transnational Networks: German Migrants in the British Empire, 1670-1914 (Leiden 2012, ed. with Stefan Manz et al.). Oom, Hoolboom, Knoblock & Co. and Hippius & Co.